A life of violence and heartache leaves him with nothing left to fight for. 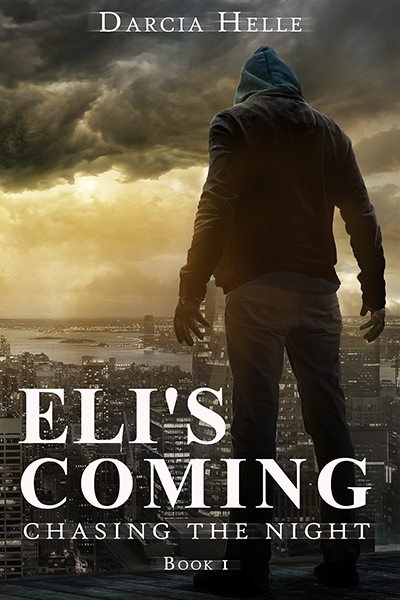 Eli’s dark legacy holds murder as his rite of passage. They say his ability is a gift. He calls it a curse. A life of violence and heartache leaves him with nothing left to fight for. Amanda steals his heart, but love makes him vulnerable. He must give her up or accept who he is and fight. 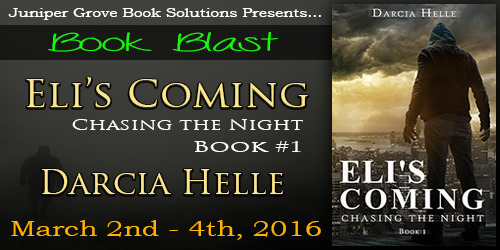 Will he risk stepping into the darkness that could consume him? The allure of the night is its ability to pull you into its depths, to keep you hidden in its crevices. The darkness wraps around you. Nothing reaches you there. Have you ever wanted to melt into the darkness? Dissolve into the shadows? You can lose yourself in the black emptiness. But while you may lose yourself, the night always knows where you are. Eli Hayes stood alone in the darkness. The night sky was clear, lit by the stars and a perfect quarter moon. Shadows fell across the ground, casting a thick and almost tangible black film. He was aware of the tension in his shoulders and the ache in his jaw. Closing his eyes, he breathed in slow and deep. He stayed that way, quietly meditating, until the pain melted away. When he opened his eyes again, the shadows followed the path of the gravestones. He squatted in front of a square chunk of marble. He read the name and date slowly, committing it to memory as if he’d later be quizzed on the information. As if it wasn’t already etched in his mind, a permanent fixture there. He reached out. The stone felt cold against his fingertips. He traced the letters. Deep grooves in cold rock. All that was left at the end of existence. Darcia Helle lives in a fictional world with a husband who is sometimes real. Their house is ruled by spoiled dogs and cats and the occasional dust bunny. Suspense, random blood spatter and mismatched socks consume Darcia’s days. She writes because the characters trespassing through her mind leave her no alternative. Only then are the voices free to haunt someone else’s mind.